We've been to Philadelphia many times and have always found it to be a great town that appeals on many levels. 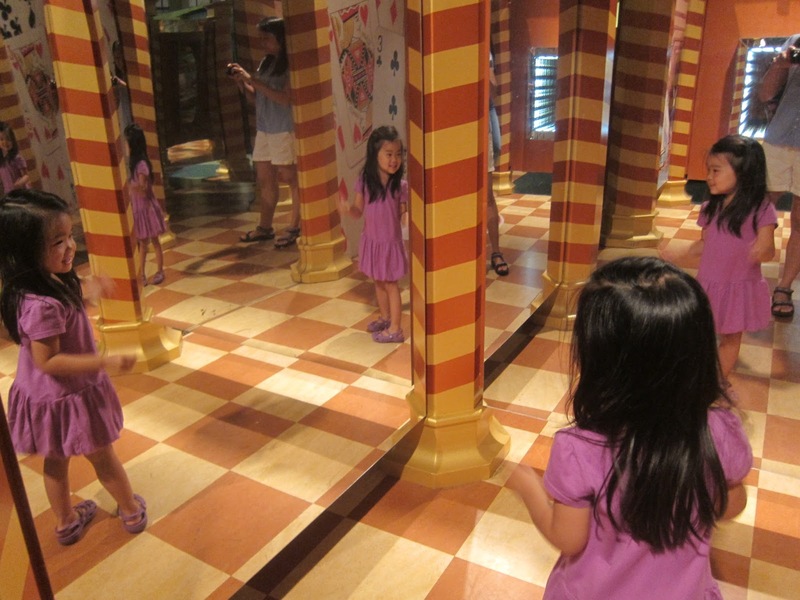 Whether you want to take in the historical sites, visit some kiddie theme parks and museums, or indulge in the local fare until your stomach protests, there's something for everyone in the family. I love how Philly makes history comes alive with attractions like the Betsy Ross House, the Liberty Bell, the Ben Franklin Museum and Independence Hall, where the Declaration of Independence was signed. We particularly enjoyed the 300-year-old Betsy Ross House, where you not only visit the birthplace of the American flag, but got to interact with a very convincing "Betsy" as she explained her role in history. I'm not a big fan of children's museums, but if I were compelled to pick a favorite, it'd be Philly's Please Touch Museum. It's got many well-done exhibits (we particularly enjoyed the Alice in Wonderland themed one), but what I like most is that the building is huge and high-ceilinged, so it never feels claustrophobic. There's even a full-size wooden carousel in an annex on the main level. The Franklin Institute, a hands-on science museum, is another great stop in Philly and the best science museum I've been to in the country. We particularly enjoyed going through the giant replica of the human heart, surfing in the SportsZone, exploring virtual reality, designing Mars rovers, and watching the planetarium show "To Space and Back." Another fun (and free!) stop in Philadelphia is the U.S. Mint. It's basically a factory tour, where you learn about how coins are designed and constructed, and get to peer down onto the factory floor where they're actually being made. I love factory tours in general, and this one was highly educational and well done! We spent one morning at Franklin Square, a cute little park that features a carousel, playground, burger stand, fountain, and mini-golf course. My kids loved the mini-golf, and I loved the well-done Philadelphia theming on the course. The photo at the top, with the Independence Hall replica, was taken at hole 3! And just over the river in Camden, NJ, is the popular Adventure Aquarium. Plan on spending at least a few hours there if you go. I've been to plenty of aquariums since becoming a parent, and I liked this one the best. There's a hippo habitat, which I've never seen before, as well as a shark tunnel (where you walk through a clear tube through the shark pool) and a shark bridge (where you walk across a netted bridge over the shark pool). That's a lot of shark excitement! I love most food markets, but Reading Terminal tops my list because so many of the stalls are run by the Amish, who make the most comforting food in the world. My one gripe is that all of the Amish stands are closed on Sundays. Don't miss Dienner’s for the barbecue chicken, Bassett’s for the fresh ice cream, Miller's for the handmade soft pretzels, Beiler's for the donuts and pies, DiNic's for the roast pork sandwiches, and Dutch Eating Place for the apple dumplings. On our most recent trip, we visited Reading Terminal for at least one meal a day. And of course you’re having a Philly cheesesteak while in Philly, but the question is: Geno’s or Pat’s? After trying both, along with some other versions such as Ishkabibble's and Carmen's, we found that the best cheesesteaks can be had at Jim's. It's the tastiest, with the nicest staff, and it's relatively close to the city center. If you have time to eat just one cheesesteak in Philly, make it Jim's! We picked the Loews Philadelphia Hotel for one main reason: it has an indoor pool. Let's face it, it doesn't matter where you are — that's what the kids really care about! The hotel is also reasonably priced and within walking distance to just about all the area attractions (10 minutes to the historical district, 15 minutes to the Franklin Institute, and one block to Reading Terminal). They were also really nice about returning a laptop we left behind in our hotel room (!!! ), packing it safely and mailing it to us free of charge. Within half an hour of Philadelphia are two amusement parks geared toward younger children. Sesame Place in Langhorne, PA, is perfect for the younger set, with gentle rides, shows starring Elmo, a water park section, and a parade that runs twice a day. The whole park is pretty small by theme-park standards, making it easy for families to get around. Diggerland is a construction-themed park in West Berlin, NJ, featuring real construction vehicles and equipment that your kids can ride and operate. 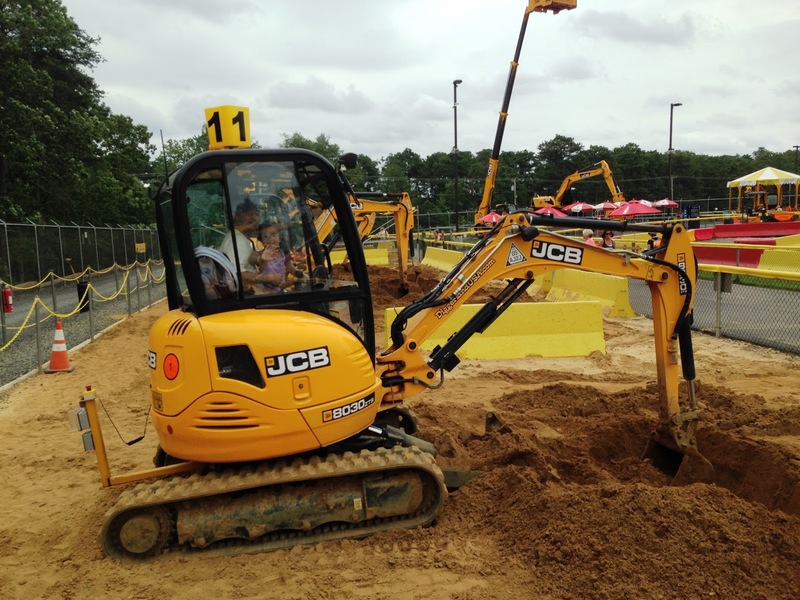 They’ll be able to maneuver an actual digger, drive a dumper through an obstacle course, and dig for buried treasure using a mini excavator, among other down and dirty activities. There are also some more traditional amusement park rides, as well as stunt shows involving heavy equipment acrobatics.